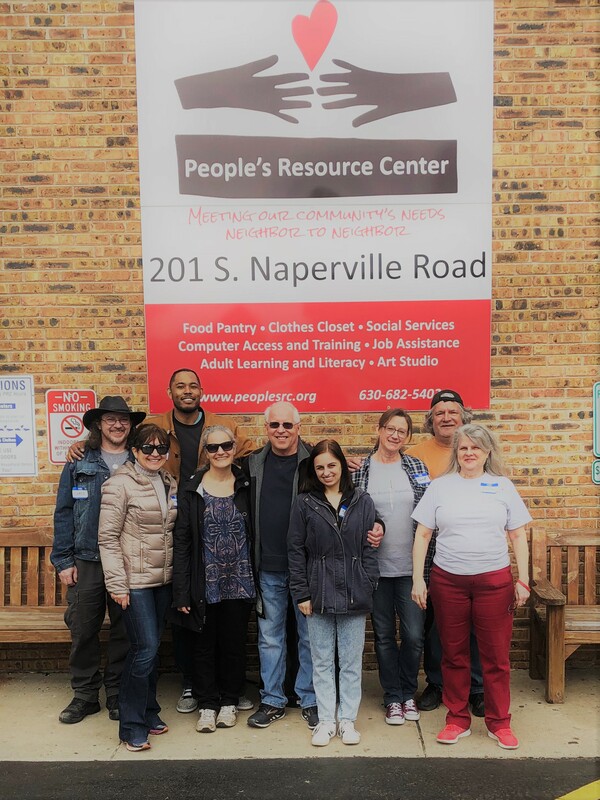 The People’s Resource Center was started in 1975 in a small house in Wheaton that handed groceries out to those in need. Today it has multiple sites and serves over 8,000 different families in Dupage County (the County that houses our national center.) The beauty of this story is how a small idea can create big changes. Our TOS group is very happy to be part of those big changes. Today the People’s Resource Center not only has a food pantry where we volunteer, but a clothes closet, a job assistance program, a rent and housing assistance program, an adult learning and literacy program, as well as an art program. Volunteers are an invaluable resource for such places, so the need for TOS workers is important. When we are truly practicing our spiritual work, we are not just helping people on a physical level. We have seen this over and over again at the many places in which our Wheaton group has volunteered. Many of the people we encounter had everyday normal lives until one day a disability or illness changed their life. We often think it will never happen to us and those standing in line at the food pantry were no different. However, our theosophical background teaches us that we are no different than those whose lives are in chaos. It is not what happens on the physical level that matters, but the spiritual being within. Our teachings infuse our hearts with love and our ability to volunteer to help those most vulnerable allow us to radiate that love to others—in turn giving them strength to carry on. It not only benefits those we work with, but it benefits our own unfoldment as well. That is Theosophy in action. If you are wanting to start a local TOS group, there is little one needs to do because there is so much need in your own backyard. Contact us at info@theoservice.org and we will help you get started. If you have questions or concerns, email us. We look forward to hearing from you.